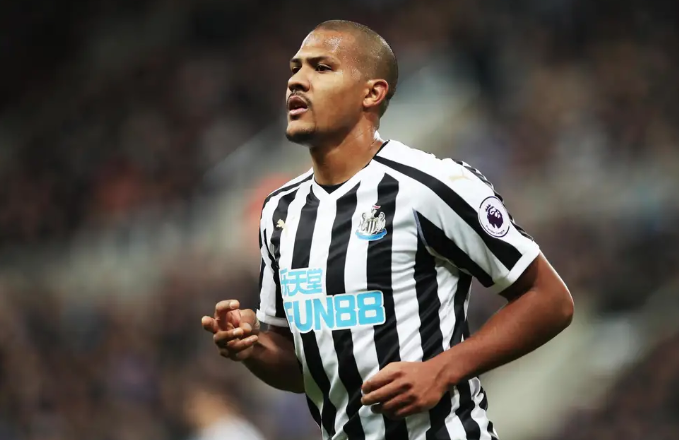 NUFC could face battle to sign Salomon Rondon after Premier League club shows interest – Report – NUFC blog – Newcastle United blog – NUFC Fixtures, News and Forum. According to NUFC reporter Mark Douglas, a Premier League club registered their interest in Salomon Rondon last month – suggesting we could face competition for the striker this summer. On a positive note, Mark Douglas’ piece insists that ‘there is a deal to be done’ here, with West Brom open to selling, Rondon keen to stay at St James’ Park and Benitez also desperate to keep him at the club. That said, the big battle will be whether Mike Ashley is prepared to forget his tedious transfer blue print and pay decent money to sign a player who turns 30 this year. ‘His performances at Newcastle having alerted other clubs to Rondon’s ability to make a difference at the top level in England. ‘It’s understood there was interest from Spain and China in the summer to rival Newcastle and even as recently as January, a Premier League club enquired about the possibility of signing him. This should come as no surprise given how good he’s been. He’s never looked like a player who will score 20 goals a season at this level, but a striker who can put in the shift he does, hold up the ball expertly and score 10-12 goals still presents an impressive overall package. “There is certainly a deal there to be done if Newcastle want it. The player wants to stay – he has struck up a friendship with Miguel Almiron – Benitez wants him and he seems like a good fit for the manager – at least in the short-term. “Rondon is hoping to hit double figures this season but his impact at Newcastle has been bigger than his goalscoring exploits, with Benitez happy that he fits into a system that he feels will help carry United to safety. And in the summer his fee would be reduced from the £16million being demanded last year – especially if West Brom miss out on promotion. “Albion certainly appear to be planning for a future without him but would like to sign Dwight Gayle on a permanent basis if they go up or the price is right. In December they let it be known that they’d want cash and Gayle for Rondon, which Newcastle didn’t entertain. “But if they remain in the Championship that looks unlikely because Gayle’s wage demands would prove prohibitive for a club that would surely have to cut its cloth accordingly if they failed to re-claim their spot at the lucrative Premier League table. It’s a slightly complicated situation when you factor in West Brom’s interest in Gayle, but, at the same time, Newcastle could simplify a lot of this if Ashley can finally agree to spend money on a more senior player with little sell on potential. Rondon may be entering the twilight years of his career, but, like Diame, he is still doing a very good job in the team, with his experience, power and consistency seeming invaluable right now. Not only has his all round play up top has been invaluable this season, it seems that our ability to sign him (or not) will play a big part in Benitez’s future. Fingers crossed we do the right thing – for both Rafa and Rondon’s sake!